Mattern Family: A Give Away... It's Totally Awesome!!! A Give Away... It's Totally Awesome!!! While you are waiting to hear about my eBook announcement on Wednesday why not grab a cup of coffee and learn a little more about our family. You can click on the links to the right to see all of our RV adventures, joys in home educating, my struggles with hospitality, in addition to the many other chapters of our story. You can also leave a comment and be entered into this awesome giveaway! 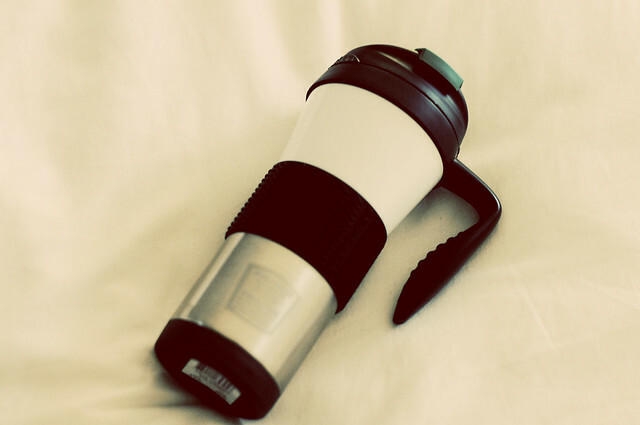 Since I’m a complete coffee addict I decided it was only fitting to give away the coolest coffee cup EVER!!! 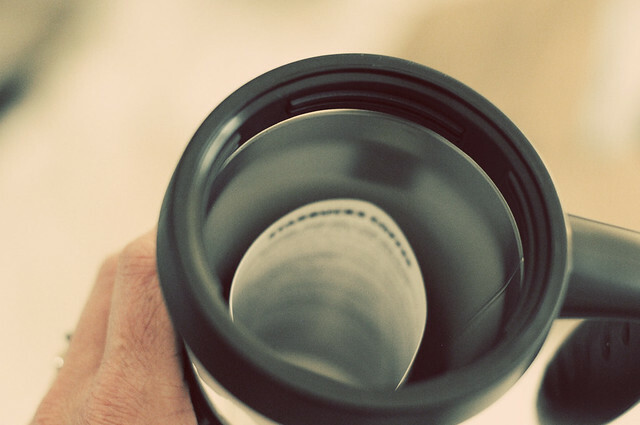 This cup from Starbucks will keep your coffee hot for hours, NOT KIDDING! Just make sure you sip or you will be surprised and burn your tongue, yes it has happened to me after an hour of pouring my cup! My husband, me, my sister, my dad, my sister in law.. yes we all carry the same coffee cup. I'm telling you, it ROCKS. And I picked one up today for a very special winner! You have FIVE opportunities to win: don’t be shy! 1. Comment, tell me what your favorite coffee beverage is. 3. Blog about this awesome giveaway. Once again leave a separate comment and the link to your post. I will be announcing the winner on Wednesday April 13th, along with the information my upcoming eBook that launches April 18th! We have one travel mug. I'd love another so that both Damien and I had one. My favorite coffee is just black home brewed. umm coffee rocks my keurig makes the best coffee as long as it is flavored i am good to go. I can never have enough travel mugs. It is even better when it keeps the coffee hot for hours. Alas, I would enter but since my hubby roasts Starbucks and we get these cups often, I can't enter. :) BUT- Good Luck to everyone else!!!!! Love your blog. My fav coffee would be a skinny caramel latte. I follow you on Twitter and I added shemarksinred! 1.Strong coffee as long as it is hot. I cannot stomach tepid coffee so the mug would be perfect. Starbucks fave is their Italian roast as I love the chocolate undertones. 3.You have to tell us how you keep from taking each other's cups! And I follow you and your SIL on Twitter! Hi! I'm a new follower both here and on twitter. (Now following shemarksinred, too!) I love your blog! And I also love me some coffee! :) I love so many kinds that it's hard to pick a fave but caramel cappuccino is definitely one of my go-tos. Looking forward to reading more of your posts! fun! my favorite coffee drink is a gingerbread latte with extra whipped cream on top! my husband worked at starbucks for the first 7 years of our marriage and was a manager, so i got hooked to a couple drinks there! i do follow your blog with google reader. I'm so proud of you for working to make your dream come true rather than doing what so many people do and waiting for something to happen to you. Can't wait to see where your writing takes you!! My fav coffee is cafe au lait- traditional french style all the way baby!!!! But I'm usually up for anything flavored with lots of cream and a little sugar (truvia). Enter me in the give-away!!! Love ya! I'm a follower!!! After all this time, I finally hit that follow button! I'm new to your blog, but would love to win the coffee mug! My husband's seal broke and I gave him mine. My favorite coffee is Vermont Maple Crunch! It's raining out right now, and that sounds yummy! Can't wait to hear about your e-book!!!! I am a great fan of decaf cappuccino (no sugar) with whipped cream and cinnamon!